Researchers simulated a 70-year mega-drought and came up with ways that California could survive without the economy collapsing, emptying out the state, or even abandoning agriculture. We’d have to change the way we store and distribute water, recycle more wastewater, do groundwater replenishment, prioritize different (and less thirsty) crops, and of course cut down on our water use. It would hurt, and smaller, rural towns would be worse hit than cities (which is already happening — there are places out in Tulare county, for instance, where wells are drying up and homes no longer have running water). But the simulation suggests it could be done — and it’s a good idea to plan for this, just in case, rather than relying on the drought to end in a year or two. Geologic evidence suggests that decades-long droughts used to be the norm, and of course who knows what “normal” is going to be over the next century. Another article details how Southern Californians have been changing water use this summer: letting lawns die, using more reclaimed water, draining fountains and converting commercial landscaping. The average Los Angeles resident has cut back to 89 gallons per day. I can’t say I’ve seen much change in my area since I started noticing the occasional lawn replaced with native plants back at the start of the year. Maybe a few more native gardens or scraggly lawns, but not a sea change. Katie does a lot more walking, though, and she’s noticed that a lot of houses just have dirt. Apartments mostly still have lawns, but at least that’s more people per square foot of grass. Unfortunately nobody wants to wash the smears of dog poop off of the sidewalk. 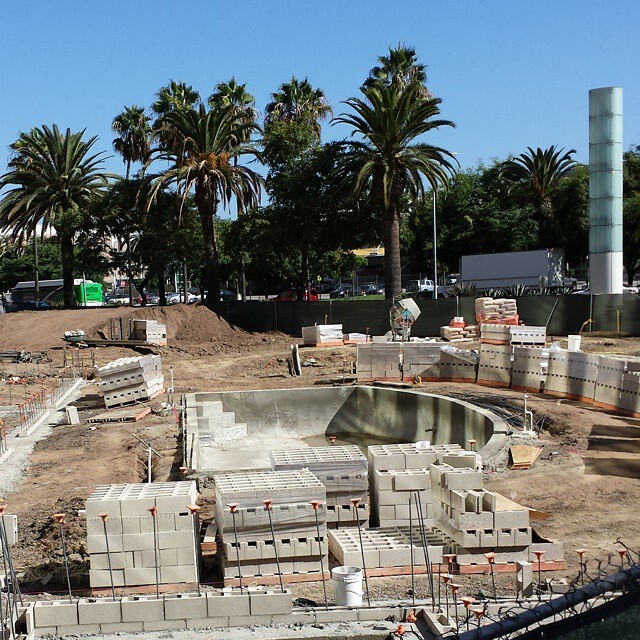 Meanwhile, the office building to hotel conversion next door to my workplace has embarked on what they’re replacing that giant lawn with: a swimming pool. A sign out front proclaims an early 2015 opening. Someone’s optimistic about water for next year. 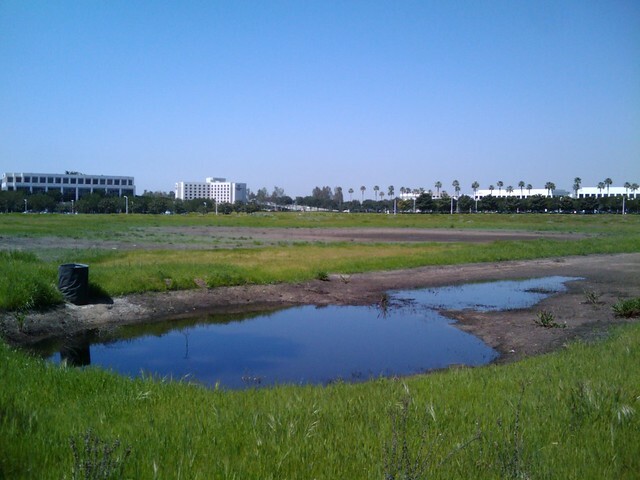 On a related note, the Irvine Company is planning to donate what’s left of the Irvine Ranch to the county as open space. Good! 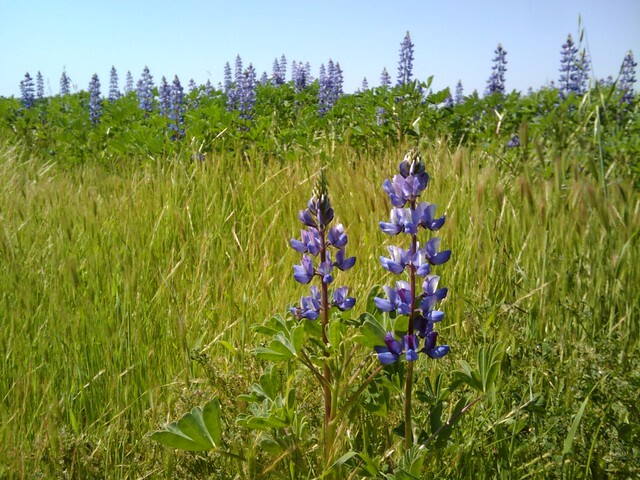 I’ve lamented the loss of both open space and local farmland over the past twenty years or so as more and more of Orange County has been paved over with houses and shopping malls. Since moving to the South Bay, I’ve seen the potential endgame. “Open space” out here consists of the occasional empty block that’s been set aside, or a hillside that’s too steep to build on conveniently. Palos Verdes has a bit more, but it’s filling in. At least the Portuguese Bend area is likely to stay clear, since the ground isn’t stable enough to build on. This entry was posted in General and tagged California, construction, drought, Irvine, Orange County, South Bay on October 11, 2014 by Kelson. Well, technically, during a lull in the storm. The clouds were moving very fast, with light and shadow moving over the empty fields and office parks, and I waited several minutes for the sun to play over this scene. 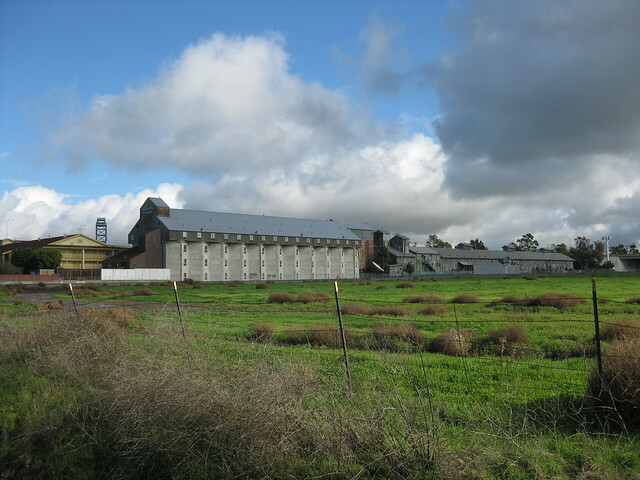 The large barn-like structure used to be a packing house for the Irvine Ranch farms, and is now split between a motel (the La Quinta Inn) and a group of restaurants. 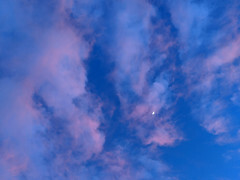 This entry was posted in Highlights, Photos and tagged California, Irvine, Orange County, Rain on December 29, 2010 by Kelson. Landscape Renovation, originally uploaded by Kelson. Irvine is dreadfully afraid you might think the dead grass is the result of poor maintenance. Apparently, they’re also concerned that the old Grass Under Renovation signs might not be inclusive enough. 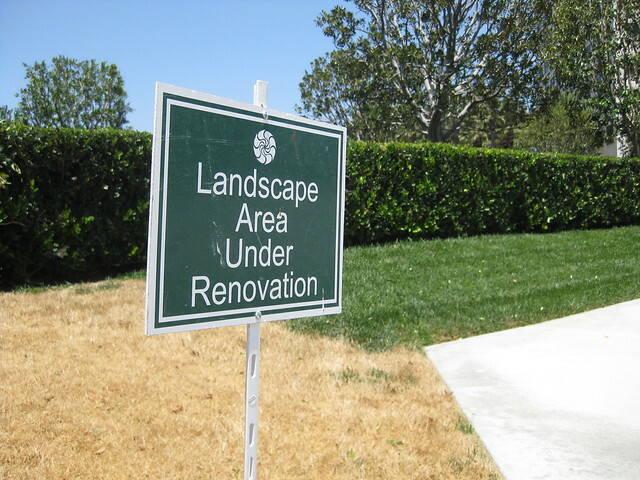 This entry was posted in Photos, Signs of the Times and tagged grass, Irvine, Landscape Renovation, road signs on June 18, 2010 by Kelson. A few weeks ago, I stopped at the post office on the way to work. 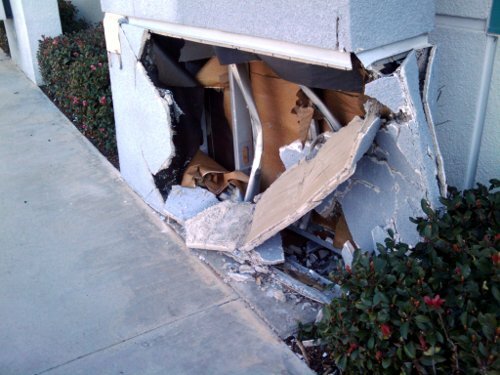 As I walked to the door, my eye was immediately drawn to the big hole in the wall where, apparently, a car had crashed into the building while trying to park. 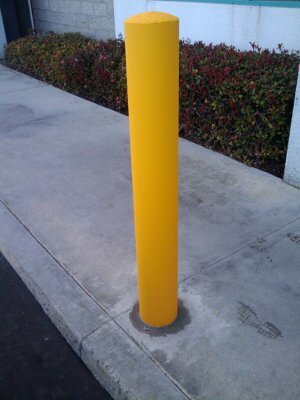 One of these bright yellow posts stood in front of each parking space along the building. You can still see where the concrete has been spread around the base, and absolutely no paint has worn off. Clearly someone decided not to take any more chances with wayward cars! 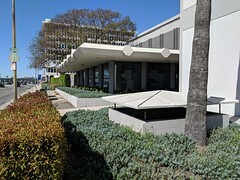 This entry was posted in Photos, Strange World and tagged crash, Irvine, parking, Post Office on March 1, 2010 by Kelson.